Have you wondered about what other people do? The ordinary, everyday people – the people that make our lives the way they are, those who help us, care for us, look after our town and do the little things that make a difference to our lives. Have you ever caught a little glimpse of their little routines or the daily habits? Have you ever wondered what it would be like to be them? In Verityville there are many amazing folk, all going about their daily business, making the town what it is. Their work and their efforts make Verityville a marvellous place to be, full of wonder, friendship and adventure! Come take a trip to Verityville and meet some of the wonderful people who live and work there! Little tales for little folk about real life in a veritably fabulous place…Verityville. Meet Audrey and read all about the magic of kindness! She lives in Verityville. 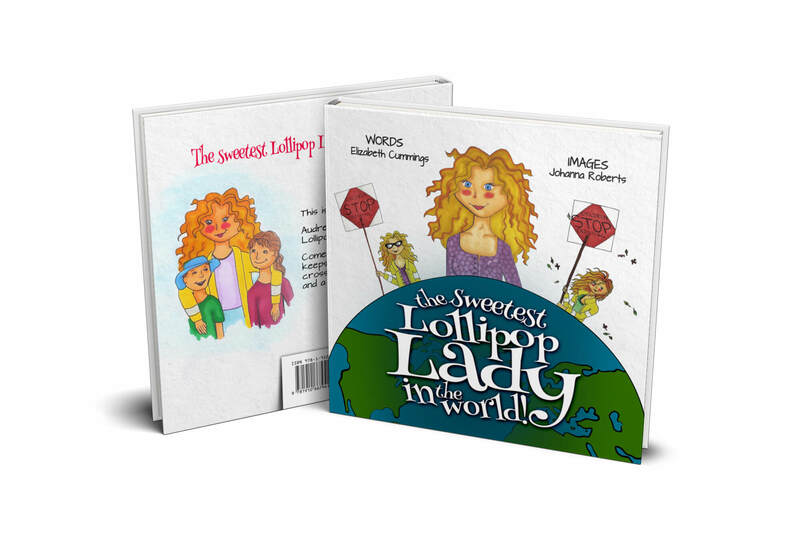 She is a lollipop lady – in fact she is the sweetest lollipop lady in the world! Nothing is too much trouble – she loves to look after everyone who uses her crossing. Always kind, with a friendly smile and a sprinkle of magic, Audrey helps and cares for her community. ” A real story of how caring for others and the smalls deeds of kindness told from a child’s point of view”. 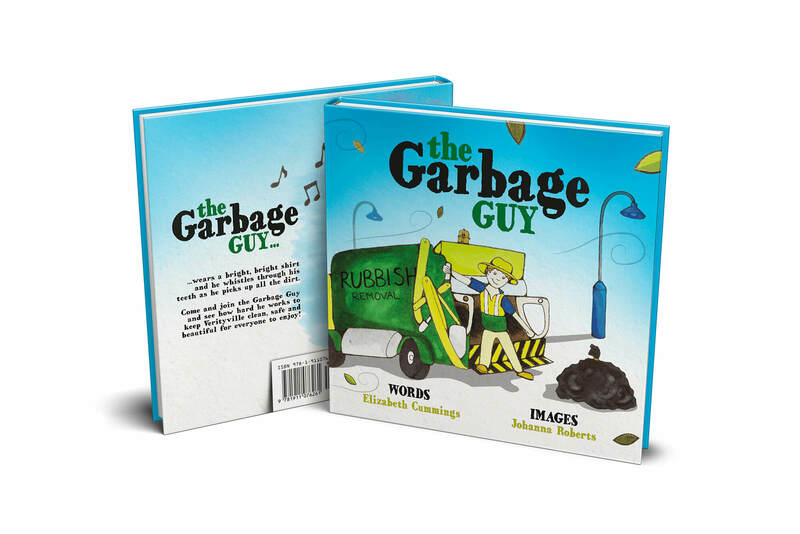 Meet the Garbage Guy! He lives in “Verityville. He works hard all day long to keep the town clean and tidy! The Garbage Guy really cares for the environment and all the people in it. He sweeps, lifts, cleans and picks up all the litter left behind. Whether he is on the big truck and or having a break with his friends the Garbage Guy has a happy smile and a great positive attitude to life. “A real story of how a positive attitude and never giving up can make a difference as seen from a child’s point of view”. Meet Mrs. T, a Verityville teacher who makes every child feel special and strive to do their best. Helping children discover their potential and to enjoy learning Mrs T has become one of Verityville’s favourite friends. 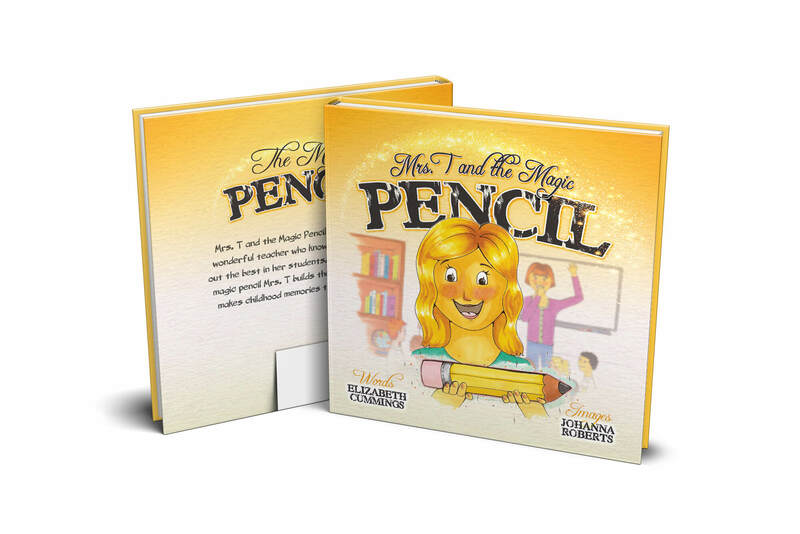 Join one of her former students on a nostalgic journey recalling the fun, the lessons and the memories with Mrs T. Discover how the inspiration and encouragement Mrs. T gave her students through the years with the help of her magic pencil had a lasting and empowering effect on those she taught. 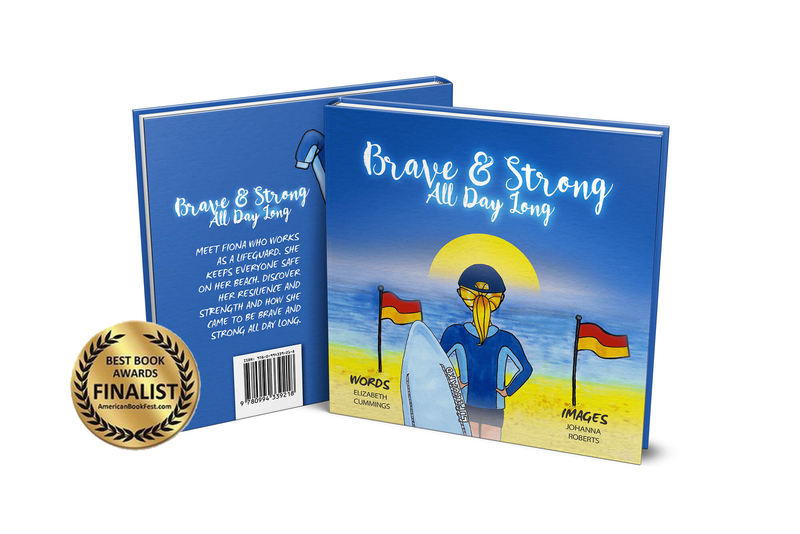 An inspiring story that raises important ideas about gender equality, bullying and water safety through an upbeat narrative rather than directives. 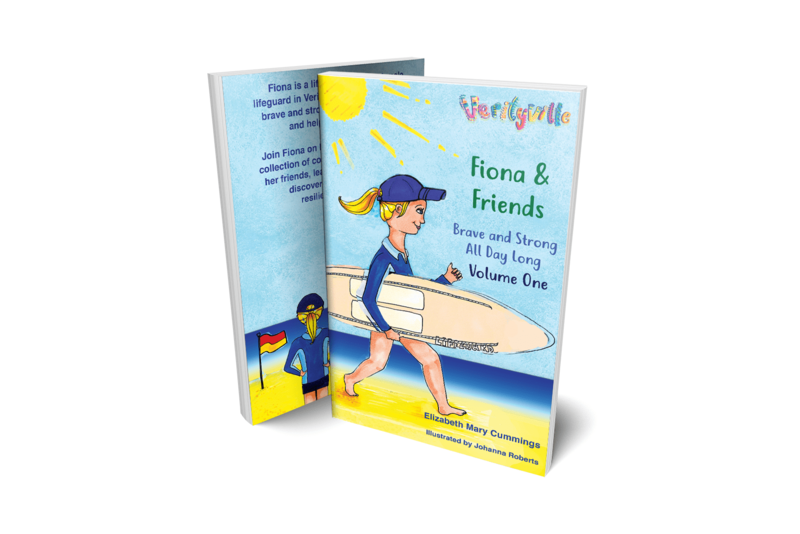 An uplifting book based on the life of a real female lifeguard, whose strength and diligence makes her a strong female role model. A simple story packed with messages of water safety, good deeds and above all about treating others fairly. A narrative of global relevance in its relatable nature, one which not only examines relatable childhood experiences but starts conversations about discrimination and how we can choose our own destiny. Would You Like a Free Set of Verityville Bookmarks? When a child dies a family is forever changed. The sense of grief and loss are now part of their daily life, every family event, particularly birthdays and anniversaries are painful. Times of celebration are touched with sadness. Can there be any comfort for families in this of grief? This narrative told through the voice of a sibling looks at how a family carries on whilst still remembering, still grieving and still connecting with their departed ‘forever’ child. A wonderfully hopeful and stunningly illustrated book; one that celebrates community support whilst tackling the deeper issues of the impact of long-term illness on a family. 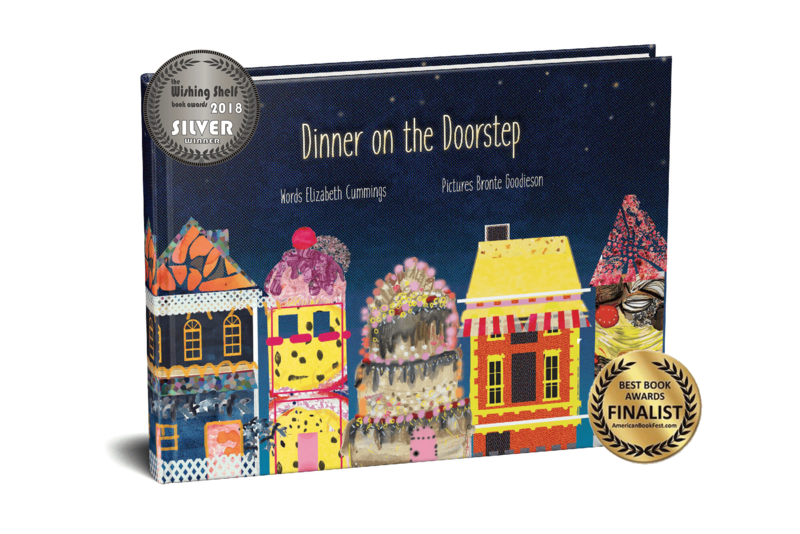 An uplifting book filled with reflections of family life and one whose illustrations beautifully portray how the whole community helps their neighbours. A story about kindness that highlights the importance in the support of a community network when someone is ill. A relatable narrative, one filled with hope, comfort and gratitude that will help families talk through their feelings and emotions on the matter of long term illness. A story of particular interest to carers, teachers, support works and counsellors working with those going through difficult times of family illness. 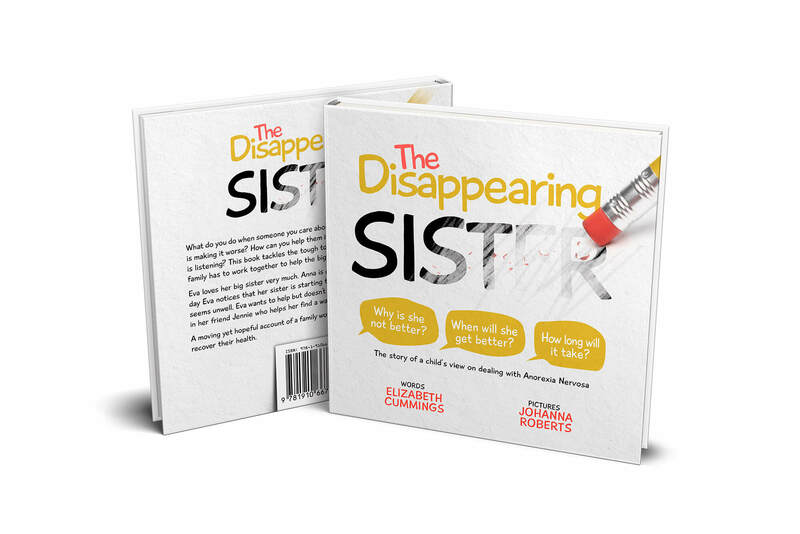 The Disappearing Sister is aimed at providing a platform by which discussion may be started in a guided environment to help young children understand the nature of the impact of an Eating Disorder illness. The story helps families identify how the whole family is needed to help their loved one on the long road of their recovery to full health. Join our mailing list to receive the latest news and updates from Elizabeth Mary Cummings. Audrey is the lollipop lady at Lizzie’s school. She is the sweetest lollipop lady in the world. Audrey knows just how to take care of everyone who comes to her crossing. Audrey is a role model for kindness and caring for others. 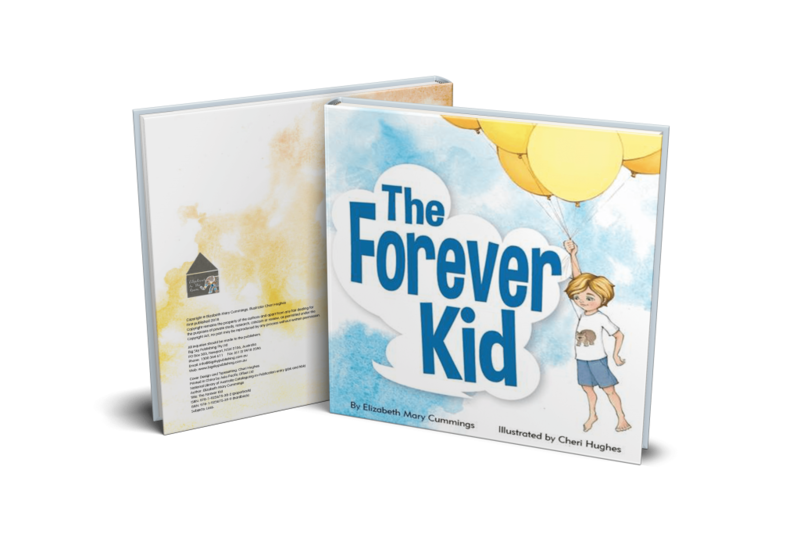 Her messages of safety and community spirit in a will inspire and resonate with its young readers. Each story is a new adventure. 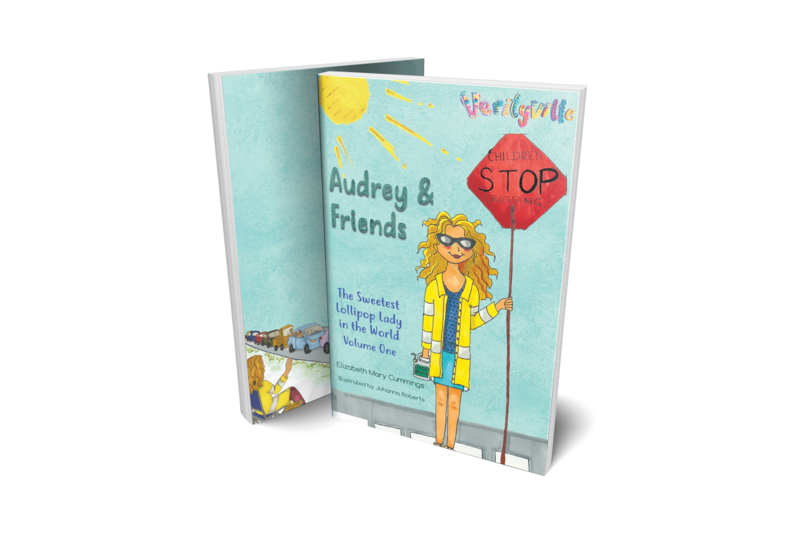 Join Lizzie and Audrey in the fun at the school crossing where everyone is welcome and all are safe! How can one go on when living in the shadow of trauma? How can someone be happy again once they’ve experienced something very bad? What if the victim is a child? The Very Bad Thing examines the concepts of trauma, resilience and therapy through eyes of a young survivor in their journey claiming their right to be happy midst the anguish of losing some of their innocence. Rania and her friends just want to play outside but where? She has no garden and the girls are not allowed to play in the street. The girls find an unexpected solution to their problem and make a new friend too. A story about cultural diversity and community spirit.